Your career site is the first place candidates go when their interest is piqued, and it’s the hub for getting candidates into your recruitment pipeline. And yet, many organizations still take a “set it and forget it” approach to their career site. Culture, mission and values resonate with candidates, particularly those who are not yet fully active in their job search. Passive candidates who are just beginning to look around will be swayed to another organization if they feel a better culture fit. Your own employees are your greatest ambassadors. Let them shine on your career site and allow them to “tell your story” in a unique and compelling way. Create a bank of testimonials and refresh them on a regular basis. Develop videos as your budget allows and give them a prominent place on the page. Most candidates want to see what jobs are available before they do anything else on your site. Readily available, easy-to-navigate job search functionality is a core component of high-performing career sites. It allows candidates to quickly find jobs that are most relevant to them, based on search criteria of their choosing. Sometimes the simplest things are the least obvious. Take your career site, for example. 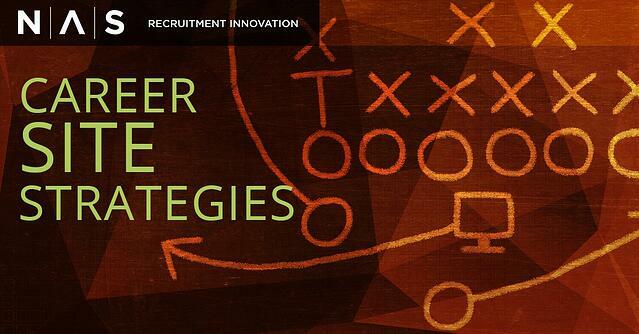 How can you ensure that it is engaging candidates effectively and efficiently? Do it by making a few small tweaks that can make a big difference in your recruitment success. 1. Make your search button stand out. It may seem like a no-brainer, but you can go online and find instances where the search button requires its own search. Let’s face it, 80% of candidates who come to your career site want to search jobs. Sure, other content is important, but make no mistake, the search button is prime real estate. Anchor it at the top. Make it prominent. Candidates will get what they want, and so will you. 1. It’s your opportunity to micro-target content to candidates. Your career site defines the essence of your employer brand, and job family pages are the place to dig deep. The question you have to ask is, “Why would a candidate in this specific job want to work here?” The answer you deliver should define what, exactly, makes your version of this job different from other opportunities they may encounter.